Pax just said that the vets are out, Felicio will start and Payne get significant minutes. Cuban just said, publicly, that the best thing for Dallas would be to lose, and that he communicated this to the players. There are 8 teams within 2 games of one another at the bottom, and all but one (BKN) is highly incentivized to lose. Will this be the all-time greatest tankathon ever? We could have a third of the league trying to not win a game from here on out. Sam: Better be careful; the NBA is watching. Since you wrote this, Cuban was fined $600,000 for his comments. This is obviously a bad week for Cuban with the Sports Illustrated story about the Mavericks, shall we say, culture? Maybe we'll hear less of that word for awhile. I go back to the 76ers all the time on this as I always do because I was so offended by what they did those four years. But I also sympathize with Cuban a bit, as difficult as that can be sometimes. But he just said from what I read it would benefit his team to lose. He didn't order it or be a part of it, at least yet. I don't expect Rick Carlisle to agree to lose games. The 76ers did so for four years with the most outrageous moves designed to forfeit competitive play and give the team almost no chance to win. They had two losing streaks of more than 25 games; c'mon. Why weren't they fined? Is saying you might want to do something worse than actually doing it? Isn't the news that Nwaba, Felicio and Payne getting minutes the rest of the way a good thing? I'm not talking about tanking. If they were tanking, Markkanen, Lavine and Dunn wouldn't play. I love the announcement. They don't need to find out what those guys can do, next year. They need to find out now. Plus, it gives the main trio a chance to be the go to guys where the offense revolves around them mostly. They already know what Holiday, Lopez and Grant have to offer. I love this and didn't see it coming. 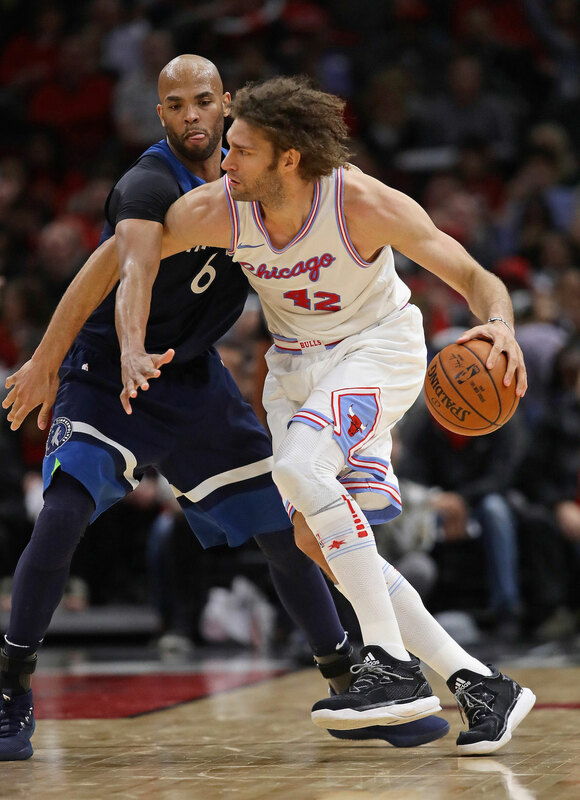 I want to see games with Dunn, Lavine and Nwaba and see what kind of defense they can be together. Sam: Good points; I know they are since I wrote about them Thursday on bulls.com. 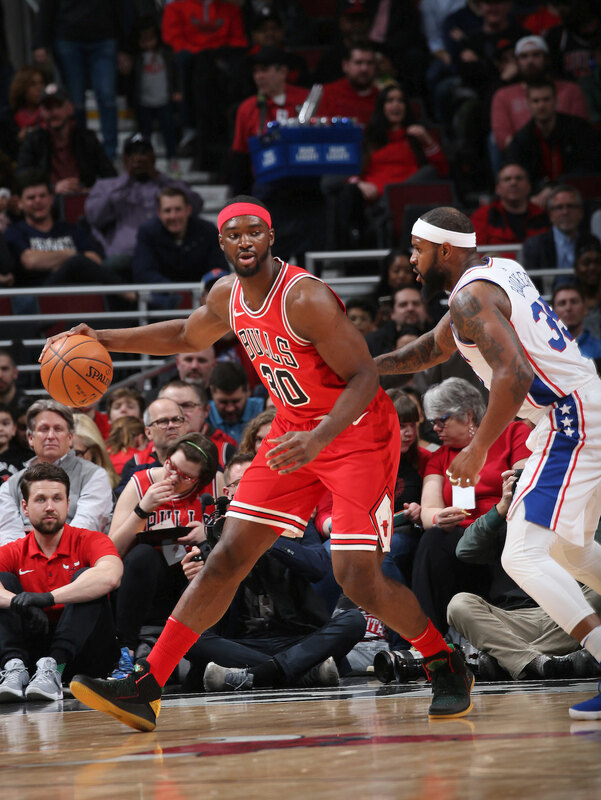 The reaction was interesting because I got so many emails about the Bulls tanking—I dislike the inaccuracy of the word—but I actually believe, like you, they could be better with those three playing regular minutes and some youthful defense. Also, remember Lopez and Holiday played the most for the team this season. They'll be getting some young legs in. Playoffs? OK, OK, but I don't see a meltdown. Great all-star game! Defense was much improved! Jimmy doesn't like the free-flowing, no defense type game which is why he didn't really try and was a non-factor (in previous games). So now being that they actually tried on D (even in the first half! ), I thought maybe it's Jimmy's time to shine, right? 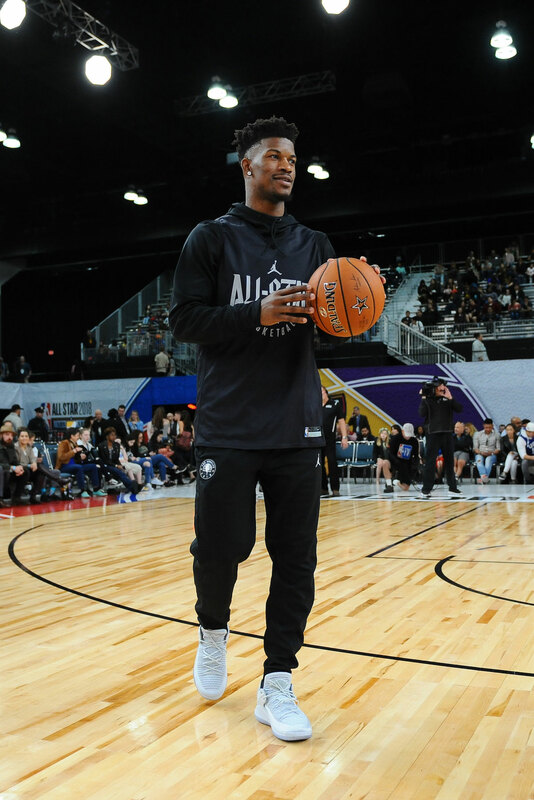 At least I'll get to see Jimmy Buckets since no Bulls are in the game, right? Again a no-show (I know illness), but really a DNP-Coaches Decision?? 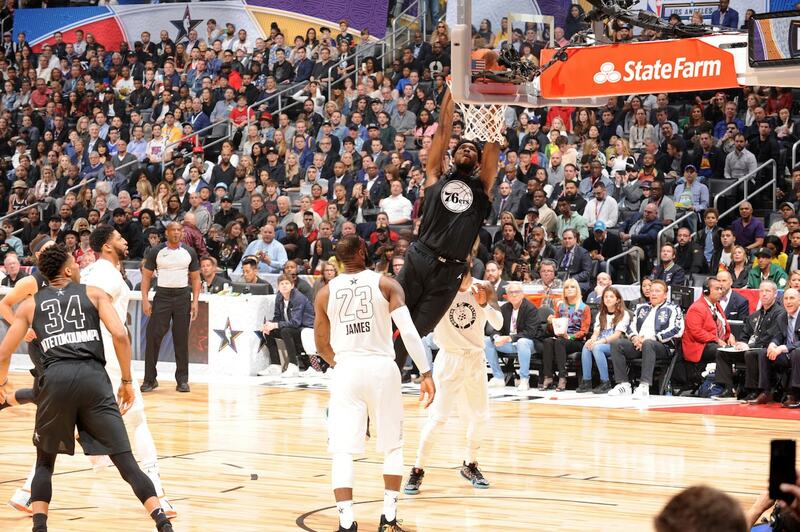 Has there ever been such a thing in the all-star game? I'm sure somebody would have loved that spot, you know to actually play in the game. I love Jimmy, but wow. You wanna be an all-star, but not actually play in the game? At least a few minutes would've been great. It's the all-star game, the layup line and suiting up is ridiculous if you don't play. Sam: I have to agree I was shocked. And especially the muted reaction. Imagine if Derrick Rose did that. Imagine if Obama...Oh, right, that's the other thing. It's not Jimmy's sort of game for a lot of reasons; just as Larry Bird used to always say the All-Star was not his type of the game. But he played in them. Jimmy said afterward he just was tired, and, OK, you can make a Thibodeau joke. But geez, they had two days off (in the NBA season with the most off days and fewest back to backs in history) and the NBA even moved the usual Friday interviews to Saturday so they players could have even more time off. Plus, you're an All-Star! Like you say: Isn't there some responsibility and pride for your team and community? I know Jimmy is leading the NBA in minutes played and plays hard, but it's 37.3 minutes per game. In his 12 seasons with the Bulls without injuries excluding 1985-86, Michael Jordan averaged fewer than 37.3 minutes just once. He averaged 38.8 minutes at 35 years old going for a threepeat. OK, Scottie Pippen, then. He averaged more than 37.3 six of his last seven seasons with the Bulls and 37.5 at age 33 his last season with the Bulls. My suspicion was that Jimmy was mad. My guess is because he's not the fast, athletic, highlight player who stands out in an All-Star game he probably was one of the last picks. And he probably was upset and figured the heck with them. Yes, it could be fun seeing that drawing of teams next season. At least the 76ers in losing for years traded away decent players in order to lose games. The Bulls are simply going to sit their better players for inferior players? I suppose it's just that the Bulls have not purposefully tanked during the Paxson era which has now been very long by NBA standards. So it's sort of jarring to see them do it, even if as I said I understand. But you're assuming, perhaps because you obviously know the people involved better than I do, that next year they're going for the playoffs. Say they start out poorly. What's to prevent them from doing this again. And somebody gets hurt the next year so do it again. I'm sure Sam Hinkie didn't start out hoping to tank in the fourth year of his time there. But it doesn't seem Paxson's personality would allow him to do this for long and I respect and enjoy that about his leadership. Sam: As I mentioned, I don't see the talent disparity being that great with those players. We'll see if I'm wrong. It is possible, as shocking as that might be. If they were benching Dunn and Markkanen, OK, you've got me. The lottery odds change next year to limit the chances of a top pick if you have one of the three worst records, and on down the line so that if you are second worst or maybe ninth it may not be that big a difference to make it worth throwing away an entire season. Though what you see more in sports now is the effect of the analytics, including in the front office. Those math geeks basically have convinced managers it doesn't make that big an impact to go with the older veterans for big money. You see it more in baseball and have this winter. We're seeing it in basketball with more focus on young players and probably less to come in free agency other than the super players like LeBron and Durant. So, sure there's an element to trying to lose, but also playing more young players because the business model doesn't always make a lot of sense paying for older free agents. We'll see if there is the same impact in basketball. I didn't watch All-Star; haven't for a few years now. From the players' quotes, it sounds like they made it a game. They said they didn't want it to be a ‘joke' as in the past, so they (allegedly) ran plays and played defense. Hmmm... Final score was 148-145. Sounds like the typical All-Star dunkfest to me. Sam: I wish the All-Star game had stayed East/West. After all, the game being slightly more competitive Sunday had nothing to do with that choosing sides thing. All the players had to do was decide to try a bit more. I thought it was confusing as it took three quarters to figure out and remember who was playing with whom. Equating this breathless post game view that they played defense because of the format change was ridiculous. As talent changes teams, the conferences again will become more equal. The 76ers have a shot of moving up if Embiid remains healthy. He's really good and if he learns to play inside he could be amazing. Boston with the return of Hayward. LeBron maybe stays in Cleveland. The Spurs are having issues with Kawhi Leonard staying out. The Spurs are notoriously private, but it sounds like some stuff is going on there. The Thunder could lose Paul George. The West is no longer very deep. The bottom playoff teams in the East are comparable with the bottom in the West. At least with East/West there's a potential rivalry with All-Star games. Not with picking sides and then maybe making Butler mad. Crazy to think that a year ago Dunn was on the fast track to becoming Noah Vonleh! And this was not your focus but he has been (other than that whole Niko thing) maybe most important to any success the bulls have had this year - grant has proven to be a good backup but look how they have struggled with Dunn out. Sam: Most Valu-Bull? It's why it's never a good idea to propose on the first date. You never know what you can learn with patience. I'm not sure Dunn is quite that valuable compared to Markkanen and LaVine. It looked a lot more that way because Grant is so unfit to be a lead point guard. He's a scorer, so credit to him for really trying to do what the coaches asked and accommodate teammates instead of himself first. He did reasonably well, but was best when looking for his shot. Still, in this NBA with a preference for scoring point guards, he should be a valuable reserve type player. We'll see with Cameron Payne, who likewise is more scoring oriented. Arcidiacono fits the point guard mold; he just doesn't shoot enough. Can't we be happy with someone! Dunn isn't the most brilliant playmaker, either. He passes to Lopez' feet a lot more than to his hands. Though this is basically his first season doing so as a pro and his improvements have been remarkably swift. He never seemed in a playmaking role in Minnesota basically looking over his shoulder at the screaming Thibodeau. He's been able to play more relaxed this season, and you see how fast he's come. Verbal abuse is hardly the best way to mentor everyone. It's good for some. But you have to have some dull arrows in your quiver. Defenders still lay off Dunn some, so it will help to improve his shot. But it's been better than advertised. I'm looking forward to seeing him at full throttle with Markkanen and LaVine. And Vonleh, too. He was another classic of a kid not ready for the NBA. I understand not passing up being a lottery pick. But my guess is he's lost tens of millions of dollars by not developing his game more and becoming a marginal player who is looking at minimum contracts to stay in the NBA. If you are more prepared (assuming not being a prodigy), you have a better chance to getting a starting or regular spot and then a longer career. Imagine Taj Gibson in the NBA as a 19-year-old instead of a 24-year-old. He probably would have been playing in Belgium the last six years. Instead of contracts for some $50 million. Fast money isn't always the best money. I've read the rationales for playing the young guys, and I'll concede the people making the decisions are far more savvy about managing a basketball team than I am, but to not even dress Lopez, Holiday and Grant? That seems shoddy in the extreme. Those three guys busted their butts, won their jobs, played team ball, did everything that was asked of them, and this is what they get? I feel awful for them. And yes, I know about the money and it's a business and all that, but good people shouldn't be treated that way. Sam: This is the life is not fair category. But it's also part of being with a team going through this from the beginning of the season. 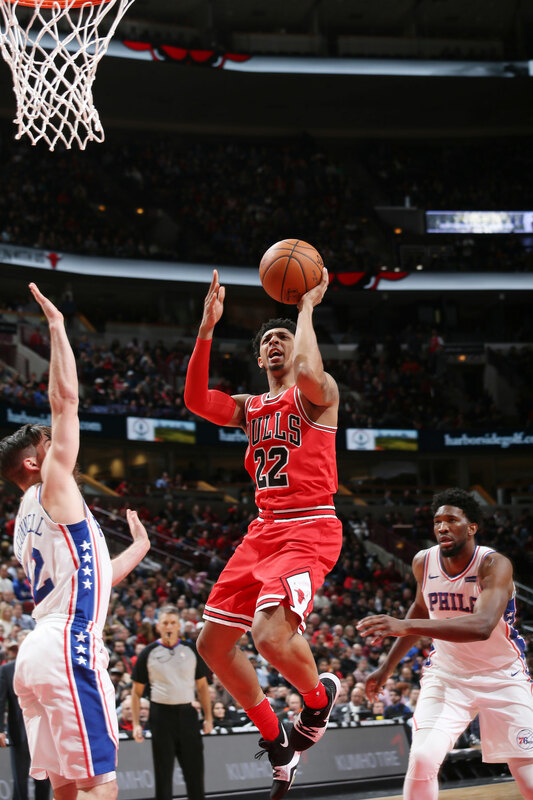 I've always made my preferences clear about believing in competing, and the Bulls seem like they'll remain in that position coming off that terrific game and late meltdown against the 76ers. Like Paxson said, you can't play 12 guys. The Bulls played 10 Friday. So if you are going to do that and be in position to make the decisions they have to make these next two seasons, you need to see these guys playing more than spot minutes. I actually believe the Bulls have been reasonable. They absorbed Lopez' contract and made clear to start training camp he was the starter. He stayed so long after they apparently were out of playoff contention, which probably was a month in. They paid Holiday his biggest guaranteed contract and will pay both for next season, also. Of course, they want to play, but Holiday already this season has played more minutes than any year in his career, and Lopez has averaged more shots than any season in his career. Both will have chances to be back with the team and have a role next season. Both had their careers enhanced by what they did this season. Sometimes you have to take one for the team. 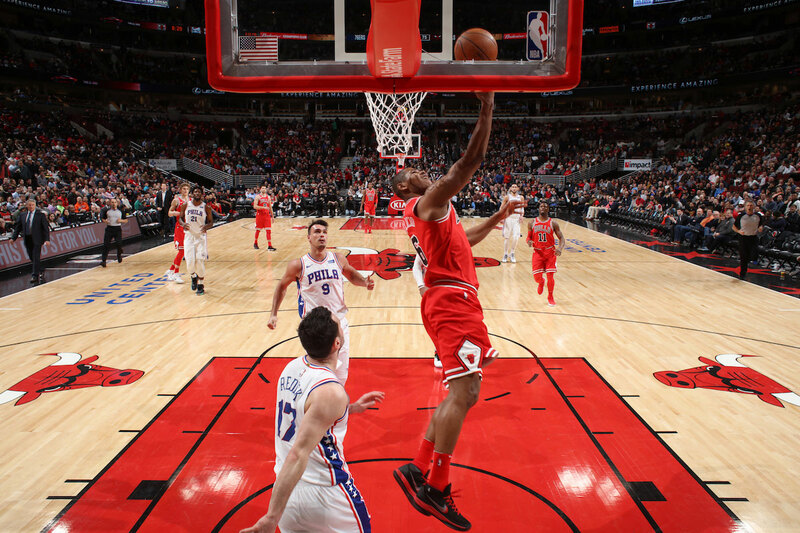 The Bulls are giving their younger players significant playing time down the stretch, namely Nwaba, Felicio & Payne. 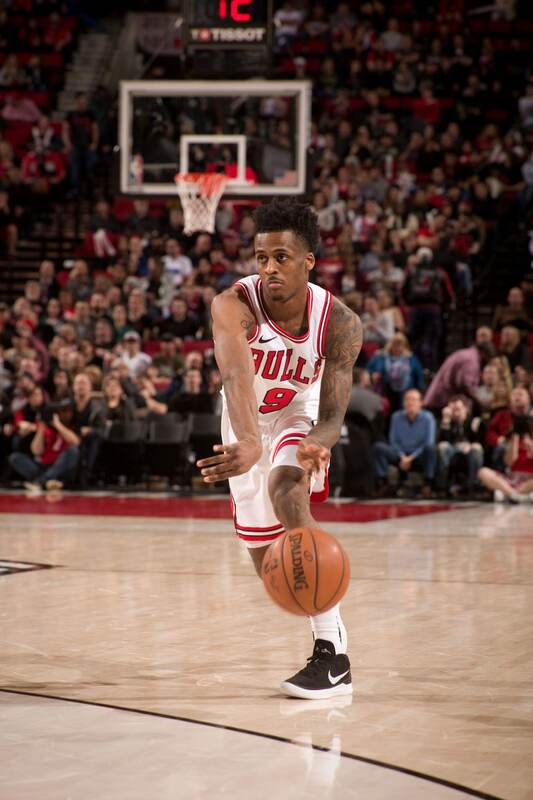 What about Antonio Blakeney? He seems to have the biggest upside considering he's the greatest G Leaguer of all-time. I haven't heard his name come up at all in the "see what we have,"
Sam: I know you can't wait, also. I think it has something to do with that 45-day limit with the team for the G-league two-way players. I believe Blakeney will join the team in March so the team doesn't have to tender him a full NBA contract and he should get plenty of opportunity after that. Again, here's a guy who really can score and actually could be an upgrade in some respects. He seemed nervous and was forcing shots early. With his success and terrific shooting in the G-league (the three-point distance is the same and so is the hoop size), he could have some big games. Hey, what if the Bulls best players, OK, some of the best, weren't in the lineup all season? Maybe it was backwards and we thought the best were playing. Again, what's wrong with seeing. With the increasing trends of perimeter centric and small ball movements in the NBA, do you see Phil Jackson returning to the league and the Triangle being implemented by some teams down the road? 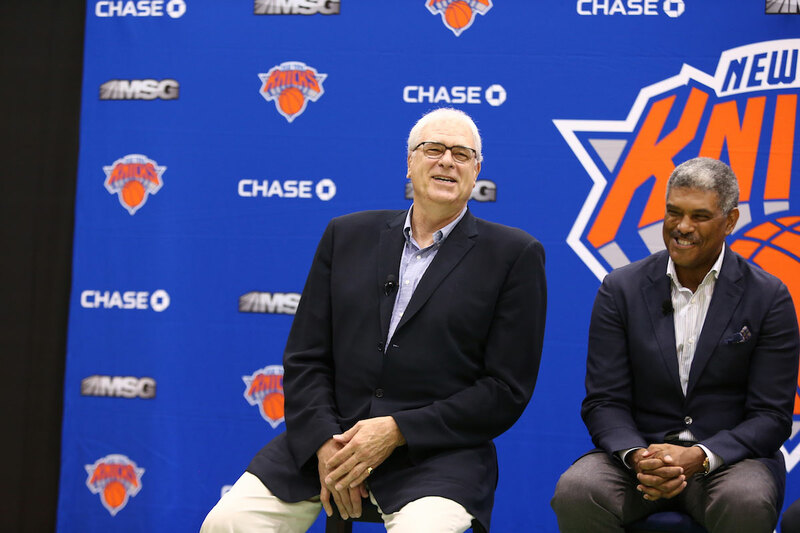 Sam: I think Phil got a bad rap in New York, but after all what GM in the last 20 years hasn't? Phil made some misjudgments, which just puts him on equal footing with Jerry West and Red Auerbach. They never understood in New York that all he was attempting to do with the triangle offense—used extensively, as you note, by teams like the Warriors without the nomenclature—which they so misunderstood was implement a system of play to fall back on that was similar to the Knicks teams of the early 70s that everyone in New York raves about. Phil just was cornered by Anthony's refusal to move on and allow Phil to shape the roster until he took Phil down. I doubt Phil gets back with another team, though he always wanted to be something of a mentor/advisor role like West and Wayne Embry and even Doug Collins with the Bulls has now more than a full-time gm. If I had a team, I'd certainly welcome that kind of knowledge. What I never fully grasped was if Jordan and Kobe loved the offense and said it could accommodate any sort of play, how was it so harmful to all that great talent with the Knicks? Wanted to get your take on the new proposed playoff format. I like East and West and isn't one of the problems is sometimes the "best team" doesn't get the #1 seed? That's what 7 game series are for. Seeding will play into it even in a 1-16 format. Then you might as well get rid of Divisions and Conferences because what purpose will it serve? 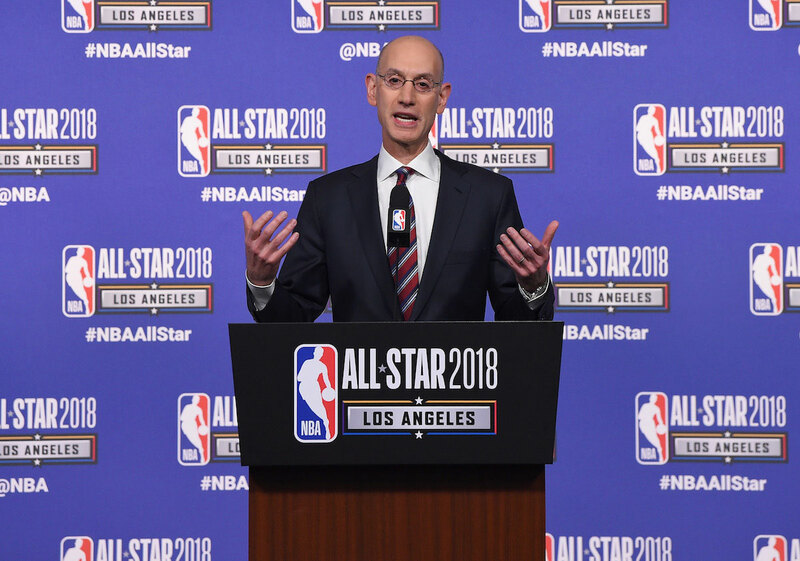 Sam: Adam Silver seems to love to run a toy in front of the eyes of the media, like playing with a cat. Just distract them. There's always some moaning before the playoffs about this notion of we need the best two teams in the Finals; as if that is assured, as you note. I thought we loved the upsets, the Cinderella. I don't expect the league to change the East/West format for many reasons, like the lack of a balanced schedule and the crazy travel it could be in a first round with Boston going to Portland, Miami to L.A. Everyone would be worn out by the conference finals. Then everyone would be blaming Silver for the low quality of Finals games whoever got there, especially because the travel and schedule might produce lesser teams making it to the conference finals. And if we get rid of the conferences and divisions what are the Celtics going to do with so few banners to hang up.